Another new SWGE update from SILA. And another more general construction update. Also, we missed one from FB, several days ago. Robert just doesn't seem as enthused about these videos as he used to be. If only that darn Battle Escape building wasn't there to ruin the view of the rest of the construction! I love all these update videos! Great shots everyone. 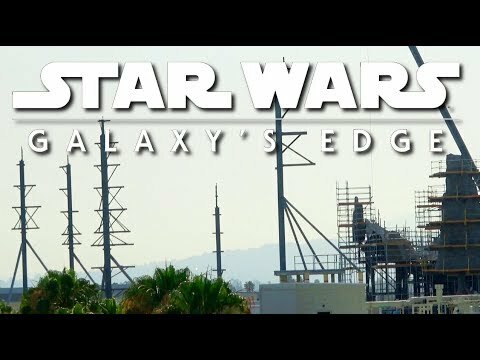 Galaxy’s Edge is getting more and more impressive by the day. 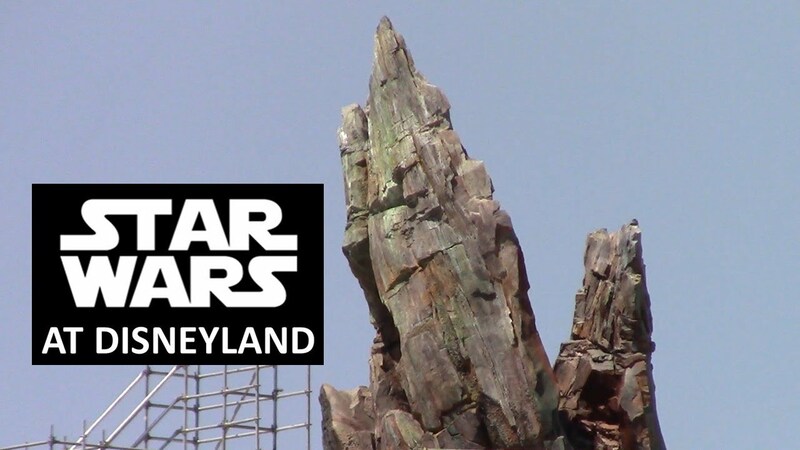 Here is a new update from the parks. Hope you all enjoy! 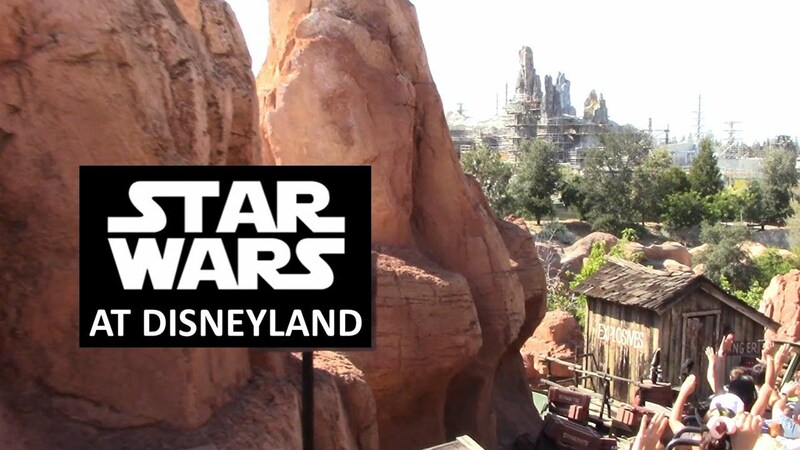 This video covers the development of Star Wars: Galaxy's Edge (aka - Star Wars Land) at Disneyland during July 2018. Two SILA videos taken 7/20/18. This is the SWGE construction as viewed from the M&F parking structure. I can only imagine how uncomfortable it must be for the welders wearing long sleeves on heavy gloves in full sun exposure on top of the rock formations. 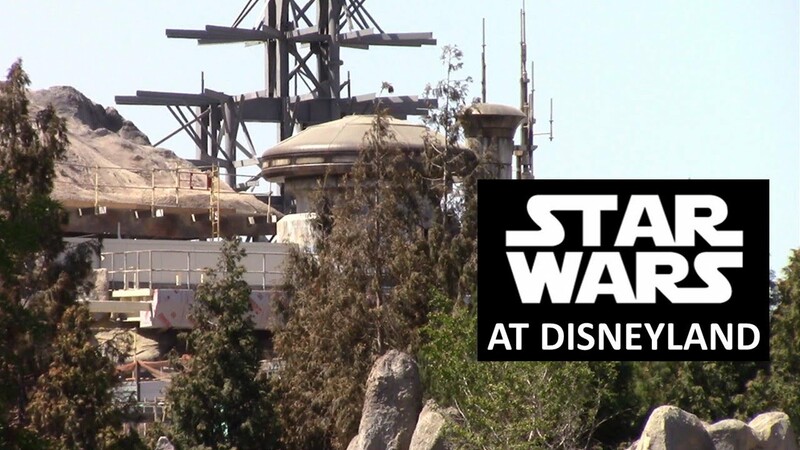 This is the SWGE construction as viewed from the Rivers of America. Just an amazing amount of rock work as viewed from inside the park. Boy a lot of the trees planted on the new berm look to be very stressed due to the recent heat wave. Just so much rock still going up! And you're not kidding about those trees looking worse for wear. I hope that they will adapt well to their new environment and get more resilient as they continue to grow. I've been a bit concerned that some of them aren't growing quickly enough to fully block the view of buildings in SWGE from other lands. 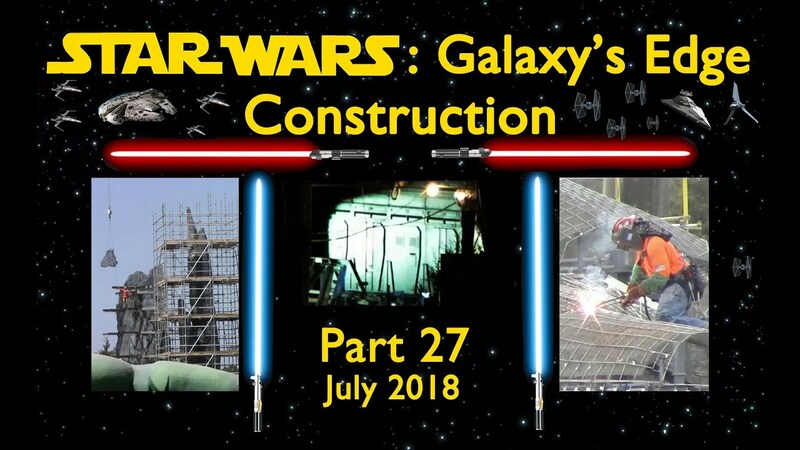 The second video from Yensid 55 documenting the SWGE construction progress for July 2018. I always enjoy their very detailed documentation of the construction process. Last edited by Hammer; 08-01-2018, 07:21 AM. Three new videos from SILA showing the SWGE construction taken 8/3/18. The first is the view from the M&F parking structure. The staging area on the back of the BE show building next to the fire escape is being closed and the scaffolding has been removed. They obviously have all of the show elements inside at this point...getting closer and closer! I love the texture and colors of the petrified trees. 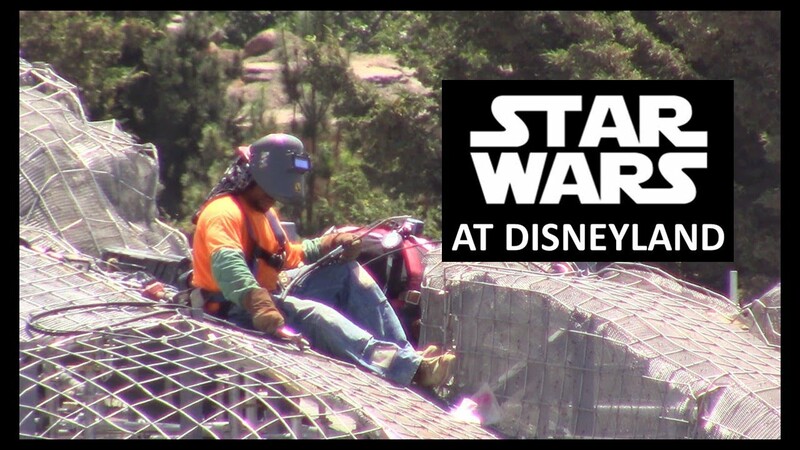 This is the SWGE construction from BTMR. From this perspective it's very clear just how massive this new land is...very cool. 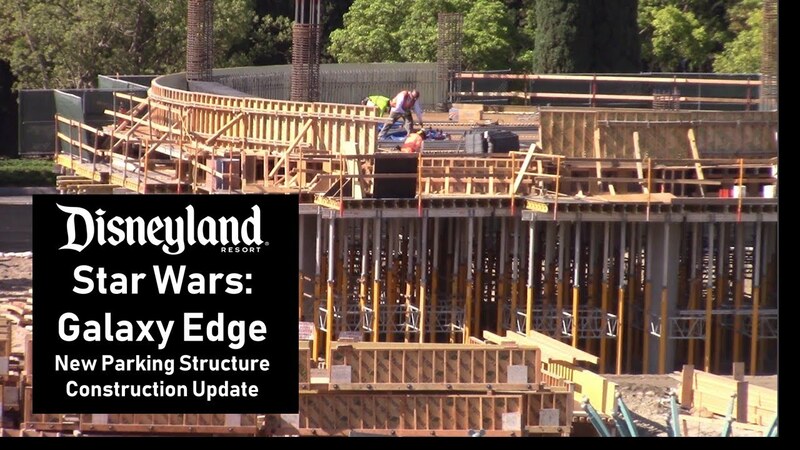 And this is the SWGE construction as viewed from the Hungry Bear and Rivers of America. It’s obvious that they’ll add a roll-up door or (something like that) over the service entrance, since the internal wall is able to swing inward like a door. I’m betting that those three relatively new trees planted on the near side of that door are intended to block the view of it, once they grow in. 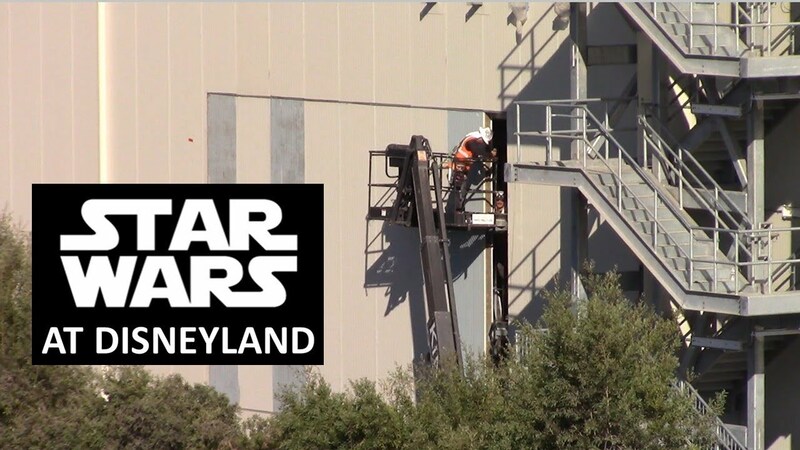 Regarding the big staging area wall that’s being closed in: the guy putting screws into it seems to be having a hard time. If you have to apply that much pressure to drive in a screw, you’re probably using the wrong tool and/or the wrong screws for the material you’re working on. Its great that more of the scaffolding is coming down and more of the rock work is completed. I find it surprising that there are still several ‘spires’ that are completely uncovered. I would expect them to be further along. Then again, we only get to see a small number of what must be a pretty big crew working on SWGE, so if the progress on the spires continues apace, they should definitely be done within a year. Hey everyone! I hope everyone is having a good one. I have a video from the parks up. I look at Bing Bongs, Star Wars and the Structure. They replaced the curtain in Bing Bongs with a more permanate looking wall, so it will be interesting to see how much longer that will be up. And also I have some footage of Tropical Hideaway and Tiki Room. They also just took the walls down by Indy, they just shaved back some of the rock work. And Tikis new ramp should be done soon. 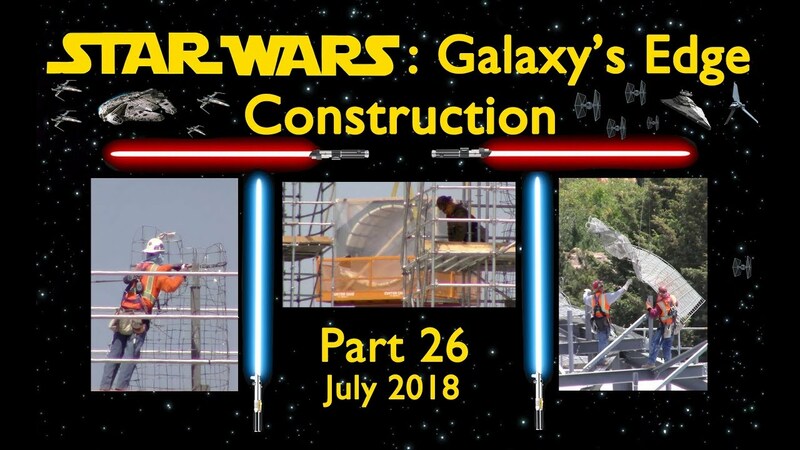 A new installment from Yensid 55 documenting the SWGE construction progress to this point for August 2018. 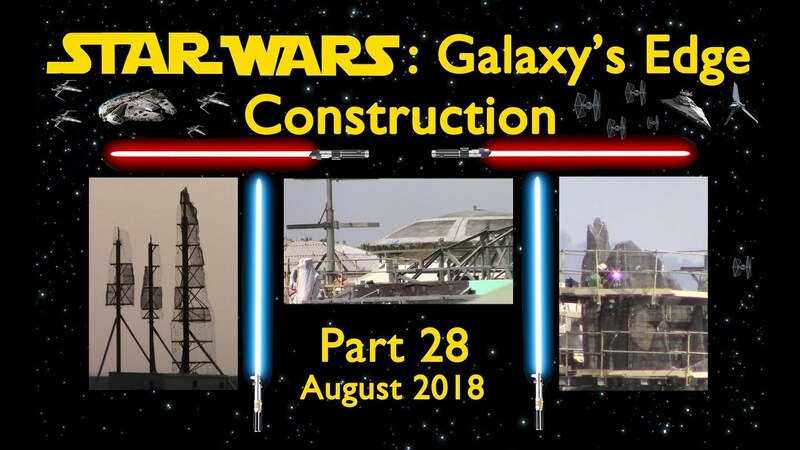 As usual Mark and his daughter Megan provide a very informative and enjoyable update including some great background regarding the Black Spire Outpost. The detail they are creating for SWGE is truly amazing...can't wait to see the finished product! 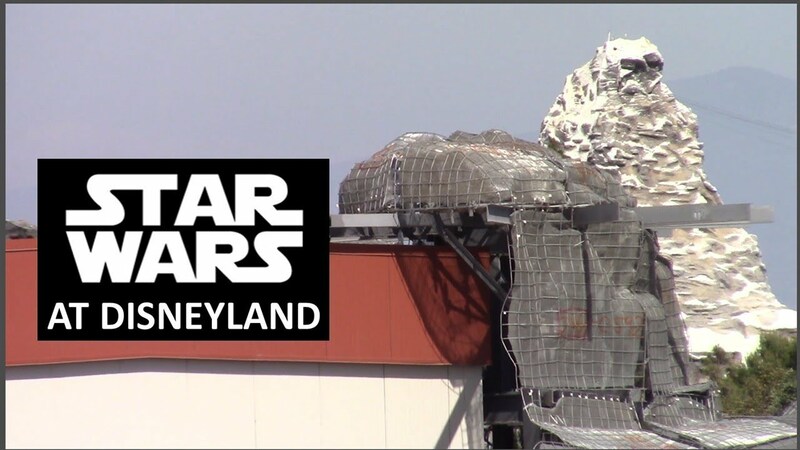 This video covers the development of Star Wars: Galaxy's Edge (aka - Star Wars Land) at Disneyland during August 2018. Last edited by Hammer; 08-13-2018, 08:45 AM. MiceChat has posted new aerial photos of SWGE that were captured in early July. What we need is for Disney to hurry up and complete WOC before I go. Seems like they have been taking longer to fix it than it took to build it.